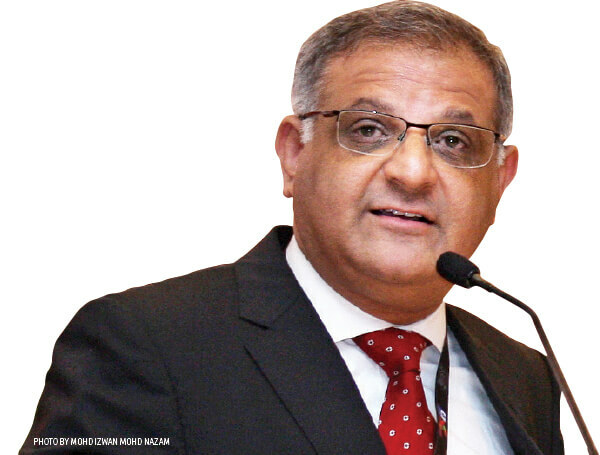 KUALA LUMPUR: Advanced economies such as the US and UK are expected to face strong headwinds in the coming three years and beyond, said IQI Global chief economist Shan Saeed. He said this during a session titled “Brexit, Trumponomics and Beyond” at the Business Foresight Forum 2017 which was organised by the Securities Industry Development Corp yesterday. “Investors get nervous when they see that governments are panicking, and Brexit is one example [of it]. [UK prime minister] Theresa May does not have a contingency plan; the cost of Brexit has already gone up by 4% and a lot of banks are pulling out of London. “Over in the US, the stock market is booming but the stock market is not a barometer of the US economy because the whole world invests in the US stock market, but looking at the overall US economy it is achieving a subpar growth,’ said Saeed. Saeed said that the confidence level of investors in advanced economies is currently low. “Whenever you have fear in the economy that is like a depreciating asset. So when people are not spending money the economy is not moving, so recession is a consumer cycle and not a business cycle. When consumers don’t spend and businesses don’t invest, the economy actually shrinks,” he said. Saeed believes the bright spots are in Asean and China which are still on growth paths. “Many people who have got credibility, such as [renowned investors] like Jim Rogers and Marc Faber, they are all saying that Asia will be the booming economy, and it is driving the global economy. “Name a single country in Europe that is achieving a growth of [close to ] 7% like China. I can’t even think of one that is achieving at least a 5% growth. “The average unemployment rate in Europe stands between 20% and 30%. It means out of 100 people, 30% are looking for jobs,” he said. “In India, we have downgraded our 2017 growth forecast to 7% from 7.4% previously while we have upgraded our forecast for China to 6.7% from 6.5%. “We see quite a recovery in China. Exports are growing; we see fiscal expansion in the economy. They are of course facing a few challenges such as huge debts and the non-performing loan ratio [of its commercial banks] which is close to 2%. “In India, the demonetisation exercise in 2016 had created several challenges, coupled with the introduction of the goods and services tax which has impacted growth there,” he said.